Tien Tzuo is the CEO and cofounder of Zuora, the leading subscription SaaS provider, with more than 1,000 customers worldwide. 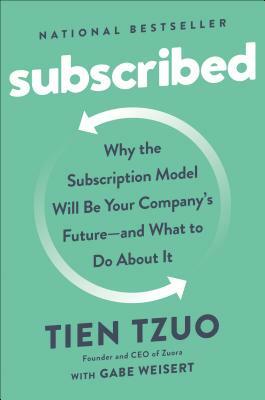 Zuora, which is foundational to companies in the growing Subscription Economy, was born out of Tzuo's experiences at Salesforce, a pioneer of the subscription model, where he was formerly CMO and Chief Strategy Officer. Headquartered in Silicon Valley, Zuora also operates offices in Atlanta, Boston, Denver, San Francisco, London, Paris, Beijing, Sydney and Tokyo. Gabe Weisert is the managing editor of Zuora's Subscribed magazine. He has previous written for Yahoo!, Forbes.com, and Andrew Harper's Hideaway Report.